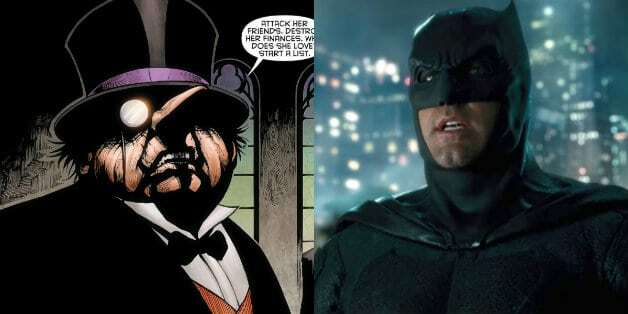 A digital artist imagined actor Jack Black as Batman villain The Penguin and here’s how he may look in the upcoming Matt Reeves’ The Batman film. Matt Reeves said recently that The Batman won’t feature one villain but rather a rogues gallery of them, which will include The Penguin and other characters yet to be confirmed. We haven’t seen a depiction of The Penguin on the silver screen since Danny DeVito interpreted Oswald Cobblepot in Tim Burton’s Batman Returns back in 1992. The most recent interpretation of The Penguin we have is currently from actor Robin Lord Taylor in the Gotham TV series on FOX. It would make perfect sense to watch Jack Black pick up DeVito’s mantle as the mastermind criminal for this version of Batman. His prowess as an actor in films through the years have cemented himself as one of the most popular actors in Hollywood. It would be really interesting to see him bring The Penguin to life with his characteristic acting style. Would you like to see Jack Black as the iconic DC villain? Sound off in the comment section down below! Aquaman is now playing. We’ll let you know as soon as we have new information regarding Matt Reeves’ The Batman and its villains, so stay tuned to Heroic Hollywood for more! The Batman releases in theaters June 25, 2021.